It’s my birthday week! Yay! For this week’s blog, I am going to give you twenty-two truths that I wish somebody had told me when I was younger. What I have learned from experience in my own life that I feel will help other young women as well. 1) Boys can seriously be dumb sometimes. Sweetheart, don’t waste your time on relationships in high school and maybe even in college. Guys don’t mature as quickly as girls plus it’s always better to focus on developing yourself and your relationship with God before adding a guy into the mix. 2) Your parents are right more than you’d like to admit. It’s true. There came a point in my life when I realized my parents were actually smarter than the average bear and that I did not know more than them at the fine age of thirteen. I know that’s hard to believe sometimes but it’s the truth. And they still love us even when we still consider ourselves “know-it-all’s”. Get a gas card. Pay it off every month. Build good credit so you can buy your own car or house when the time comes. 4) Love Jesus with every ounce of your being. Plain and simple pretty much. Jesus is more important than anything in the universe. That includes your phone, your family, your love life, Netflix, or coffee. Yes, even coffee. 5) Discipleship is extremely important. Find somebody to pour into you and love you. Let them share their wisdom with you and make sure you’re teachable. There’s so much to gain from discipleship. 6) It’s okay to eat an entire chocolate bar on your period. Go for it girl, I won’t judge you. Eat two if you’d like. 7) One day you’ll get married and forget about those dumb boys that broke your heart. You’ll be worth it to the right guy so don’t let the wrong guy get into your head. 8) Save your money if you want to have a nice wedding. Just save your money in general. There are no guarantees that your future husband or your family will cover expenses on anything so you need to be prepared to cover what you want for your wedding. 9) Texting is not real communication, learn how to talk to people in person. The amount of times arguments have been started by somebody misinterpreting a text is just silly to me. And now you can “like” or “dislike” “laugh at” or “love” somebody’s text without actually having to respond to them. Call people and have conversations, actual conversations with more than one-word sentences. Social media has its benefits for sure. But we spend nine hours a day on average on social media. That’s more than we sleep or go to school. I’ve had to let myself detox from social media by giving it up completely for some amount of time just so I didn’t feel like it took all of my free time. 11) Different apparel stores have different sizing charts, so don’t let numbers define you. Seriously girl, just love yourself. 12) Your biggest accomplishment in life is not whether you get married, how you raise your kids, your college degrees, or getting your dream career. It’s how you lived your life for Christ. 13) No matter how lonely, broken, abandoned, and used you might feel, you are still a Daughter of The One True King. 14) Singing your heart out to worship music in the car or in the shower is a great way to let out some stress. This is my de-stress time, my thinking hard time, my cry my eyes out time, my pray a little louder time and Jesus loves it because He simply loves spending time with us. 15) Don’t make a big deal out of sounding good to Jesus when you pray, just talk to Him like He is your dad because He is. You don’t have to pray a prayer that sounds like it came straight from the King James Bible. He knows your every thought, so just speak them directly to Him as if He was right there with you, He is. 16) Comparing yourself to other boss babes only sells yourself short of who God created you to be. I know, we get jealous and we compare ourselves because we want what they have or we want to be farther in life like they are, but the truth is that it only hurts how you view yourself by minimizing your self-confidence plus alters your view of them in a negative way. Instead, be an encourager and have faith in yourself that you will get there as well. 17) Don’t be afraid to tell people no sometimes. You can’t say yes to everything. You will die. Or have no sanity left. Or both. 18) Drink tons of water. It helps your skin, it helps your hair, it helps you sleep, it helps you not pass out, etc. There are tons of benefits to it. 19) Don’t go to bed angry, but don’t stay up till 4 a.m. trying to fix it on two hours of sleep either. This is generally if you’re in a relationship or married. Trust me, if you’re exhausted, it’s not worth it to keep arguing every single time. Sometimes you have to breathe, say “I still love you” and then get some rest. You will be refreshed and probably have a new approach the next day. 20) Read books. Learn another language. Take art classes. Develop as a person. Never, ever, ever, be complacent with yourself. There is always room for growth. 21) Take naps, your heart and mind deserve a break sometimes. 22) Consider others better than yourself. I’m sure I could share more of what I have learned in the last twenty-two years of my life, but this is what stuck out most that I wanted to share with you! What else would you add to the list? 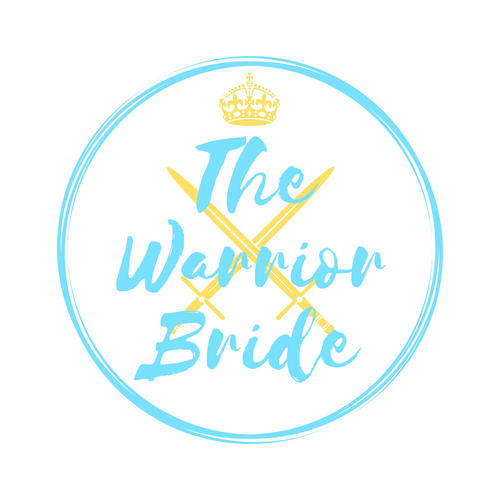 Comment below or email me at thewarriorbride24@gmail.com. Previous PostMastering Marriage: What We Have Learned In Our First Year As Husband and Wife.